Campaign Handbook » Best Practice » On the eve of the election, what is the state of the Japanese anti-nuclear movement? On December 16th, general elections will be held in Japan. Almost two years after the earthquake that caused a nuclear disaster in Fukushima, the anti-nuclear movement has never been so large in this country. Still, the two parties that dominate Japan’s political system, the centre-right Liberal Democratic Party (LDP) and the centre-left Democratic Party of Japan (DPJ), are both unwilling to give up on nuclear energy. What is the wisest strategy for Japan’s anti-nuclear activists on the eve of the general elections? GEF’s Campaign Handbook has gathered four different perspectives on the state of the anti-nuclear campaign in Japan. Yusuke Okuyama, a student from Osaka University, has joined the anti-nuclear demonstrations. Yusuke Okuyama, a 29 year old student in Danish language and literature, is one example of the many people who joined the anti-nuclear movement this year. His concerns over nuclear developed after from hearing about the situation in Fukushima from a lecturer at his university. In April 2012, when the Japanese authorities made plans to re-start the Ōi Nuclear Power Plant, Yusuke Okuyama – like many other people at that time – decided to join the anti-nuclear demonstrations. Today, the nuclear power plant in Ōi is the only one operating in Japan, where all 54 nuclear power plants were shut down after Fukushima. 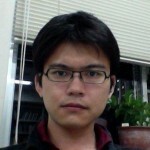 Yusuke Okuyama says that demonstrations take place on a weekly basis, usually between 18.00h and 19.30h. This time has been chosen so that office workers can join right after they finish work. In Tokyo, demonstrations take place in front of the Prime Minister’s official residence, whereas in other cities like Osaka and Kyoto, people usually gather near the offices of Japan’s main electric power companies, TEPCO and KEPCO. 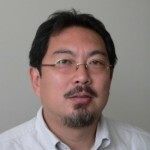 Yusuke Okuyama gathers his information on the time and place of the protests mainly via Twitter, but adds that people can find this information on the homepages of the organiser’s website as well. 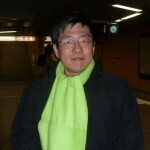 In the eyes of Yusuke Okuyama, the organisers of the demonstrations try to remain ideologically and politically neutral beyond the general anti-nuclear position. In Tokyo, the protests are partly organised by reggae, rock and hip-hop musicians, artists and music critics. Basically, they want to attract as many people as possible to address the single issue of the demonstrations: a total nuclear phase-out. Yusuke Okuyama also names a nationalist group called “Anti-Nuclear Action from the Right”, which has joined the general protests, highlighting that anti-nuclear positions are not only the concern of left-wingers. He claims that the general atmosphere during the demonstrations is rather cooperative, and that no conflicts occur between groups of people with different ideological beliefs. Shuji Imamoto puts his hope in political education rather than protests, and works on anti-nuclear issues with the international green think-tank ECOXIA. Shuji Imamoto, political philosopher and a well-known figure in the Global Greens as well as in the Asia-Pacific Green Network (APGN), is not as combative when it comes to the street protests. His main concern is the lack of political strategy within the anti-nuclear movement, and he wonders how the nuclear critics can make progress through Japan’s legislative process. Shuji Imamoto fears that within the current political circumstances in his country, the anti-nuclear movement will not be able to achieve much. In this respect, he also criticises the movement’s lack of vision beyond the single issue of a nuclear phase-out. His hope is that Japanese politics can be changed from within, and that inspiring politicians with a clear political strategy and a truly green vision will stand up. Shuji Imamoto explains that many prominent politicians in Japan have been educated in the Matsushita Seikei Juku (the Matsushita Institute of Government and Management), a prestigious private school for politics. As its name indicates, the funding for this school comes mainly from the Matsuhita Electric Industrial Company, also known as Panasonic. Shuji Imamoto states that Matsushita Seikei Juku has produced many national or local politicians who are likely to support a neoliberal ideology, and he criticises the political school for not teaching anything about what he considers crucial fundaments of politics, such as basic human rights, people’s sovereignty and participatory democracy. As a reaction, Shuji Imamoto plans to establish a green alternative to Matsushita Seikei Juku, namely a political school that stands for ideas of ecology, sustainability and social justice. The funding of this alternative political school will come from several smaller companies and citizen groups that are interested in promoting renewable energy and energy efficiency, and he also plans to collect money from individual supporters under the name “Green Educational Fund for the Future Generations”. With the funding, Shuji Imamoto wants to start a summer school in green philosophy or political ecology in several cities in West Japan. This will be a test case, inspired by the examples of different regional Green Schools in Australia (organised by the Green Institute), as well as the Green European Summer University. The target group of the political school will primarily be university students. Mariko Arikawa, staff member of the largest green NGO of Kyoto, the Citizens Environmental Foundation (CEF), joins the weekly anti-nuclear demonstrations. Mariko Arikawa explains that CEF’s mission is to create a sustainable society from within by working on concrete local projects, involving local citizens, governments and companies. 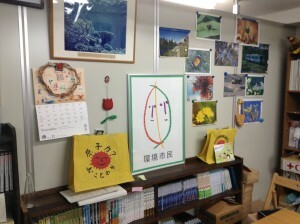 Together with diverging project partners (local authorities and private companies), CEF has worked, for example, on the publication of a bicycle map for the region around Kyoto, on several eco-school projects, and on an environmental awareness campaign in the intensively used local trains, with which 8 million passengers were reached. After the nuclear catastrophe in Fukushima, CEF launched a radio channel that provided more information on the negative effects of nuclear power plants than the Japanese government was willing to share. According to Mariko Arikawa, these alarming messages caused CEF to receive many phone calls at that time, which helped to increase people’s awareness about nuclear energy problems. Furthermore, CEF has joined – together with other NGOs – the local anti-nuclear demonstrations in Kyoto as an organisation, which take place every Friday. Mariko Arikawa is quite positive about the demonstrations, as she has seen them grow considerably over the past year. In March 2012, one year after the earthquake, no less than 6,000 people gathered on the streets in Kyoto, whereas only a tenth of this started the demonstrations in this city in June 2011. Mariko Arikawa has noticed that many people who have never joined any demonstration before are now going on the streets – particularly, so she claims, mothers who worry about the future of their children. Taro Mochizuki, philosopher from Osaka University and specialist in Japan’s civil society, follows the anti-nuclear movement from a critical distance. Although Taro Mochizuki sympathises with the anti-nuclear protests, he is concerned with one crucial element that is, he claims, mostly ignored in the ongoing political struggle on nuclear energy: the victims from Fukushima. According to Taro Mochizuki, one can find several so-called “nuclear villages” in the poor, scarcely populated coastal areas in North Japan, where the earthquake of March 2011 has had its most severe impact. The economy of these villages depends largely on the nuclear power plants. Taro Mochizuki claims that the people living there, the so-called “nuclear village people”, do not take part in the anti-nuclear demonstrations. The political struggle about nuclear energy mainly takes place in the bigger cities of Japan– not in Fukushima. If someone from Fukushima does show up at a demonstration, it is usually someone from the richer, central part of that prefecture. The nuclear village people, on the other hand, often had to move away from Fukushima after the earth quake and are now working – mainly, on a temporary contract basis – for nuclear power plants elsewhere in Japan. Most of them oppose a nuclear phase-out in Japan, because for them, the nuclear industry is a source of employment. In Taro Mochizuki’s view, the anti-nuclear movement should now first and foremost try to bridge the gap that exists between the urban protesters and the victims from Fukushima, and stand up for the latter group of people within the movement.